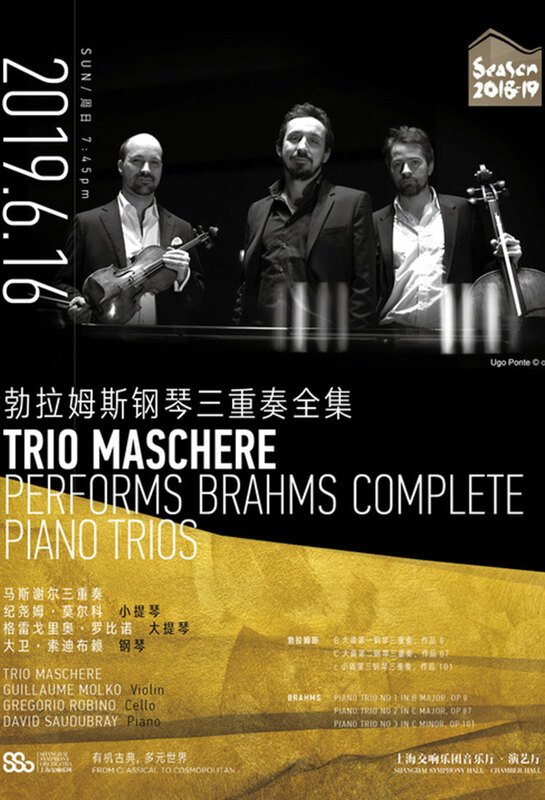 Concert Master of the Shanghai Symphony Orchestra and violinist Guillaume Molko will join two of his schoolmates, Gregorio Robino (cello) and David Saudubray (piano), from the Conservatoire de Paris in this concert, performing the whole cycle of Brahms's piano trios. The three piano trios date from the extremes of the composer's life: the first from 1853/4 when he was about twenty years old (though the revised version of 1889 is usually performed), and the last from 1886, written when he was fifty-three. In these works, Brahms’s richness of invention and highly developed musical thought still paint a true and lively portrait of the composer today.